"@MBRSpaceCentre announces that it has selected Hazzaa AlMansoori as the prime astronaut and Sultan AlNeyadi as the backup astronaut for the International Space Station (ISS) mission. The Emirati astronaut Hazzaa AlMansoori will fly for an eight-day space mission to ISS aboard a Soyuz-MS 15 spacecraft on 25 September 2019", the center wrote on Twitter late on Friday. — MBR Space Centre (@MBRSpaceCentre) 12 апреля 2019 г. The flight of the UAE mission to the ISS was initially scheduled for this April. 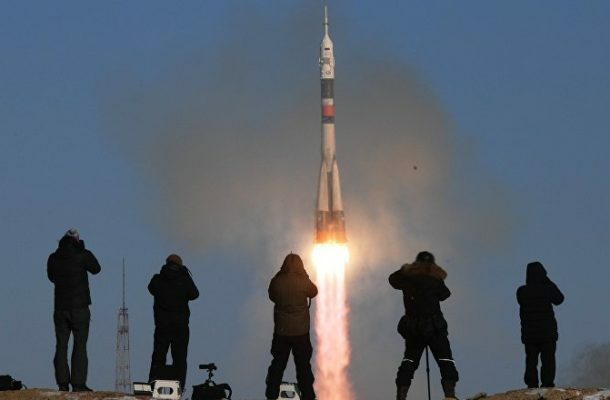 However, it was postponed due to the aborted launch of the Soyuz MS-10 spacecraft last October. Roscosmos and the MBRSC concluded a deal to fly the first UAE astronaut to the ISS last June. READ MORE: Planned US Moon Landing Could Be Cover Up to Test Military Tech – Roscosmos Head Last September, the two astronauts from the Middle Eastern country began training for their mission.